While observing a Wood Thrush nest at Jenkins Arboretum, in Devon, Pennsylvania, I heard a bird singing that I knew was not a Wood Thrush. Upon closer listening and observance I discovered this Veery, Catharus fuscescens. 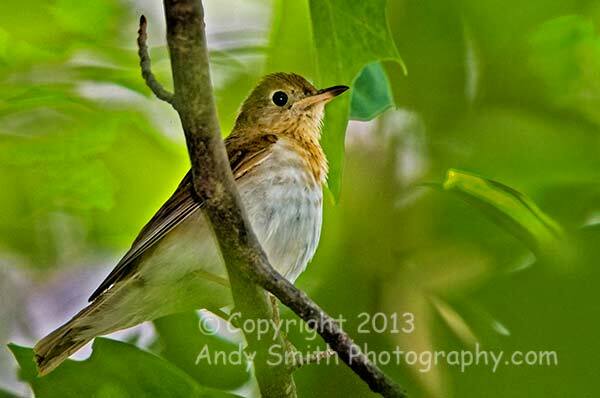 The Veery is a common thrush in areas near water and easily identified by its very pale spots on the breast. Its downward cascading song is among the most harmonically complex of bird songs.